Noyan’s primarily research centres on long term trends in estuarine and marine pelagic ecosystems, particularly on anthropogenic impacts and trophic cascades caused by introduced species. 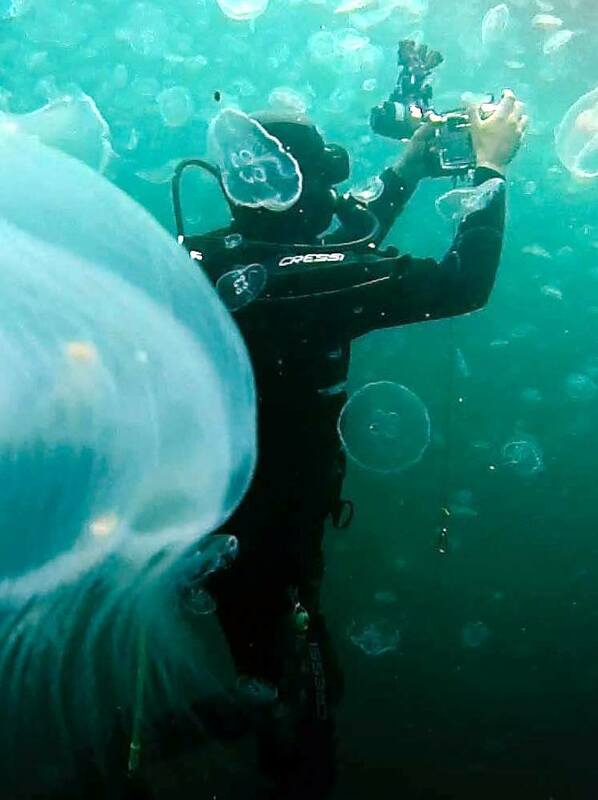 His other scientific interests involve extensive application of scientific diving including coral translocation due to anthropogenic disturbance, large scale biodiversity assessment surveys, habitat mapping of Posidonia oceanica meadows, oil spill and wreck removal impacts on coastal ecosystems and underwater experimental setups questioning settlement of jellyfish polyps. He is highly experienced in oceanographic sampling with a significant time spend onboard research vessels, including two expeditions to Antarctica. 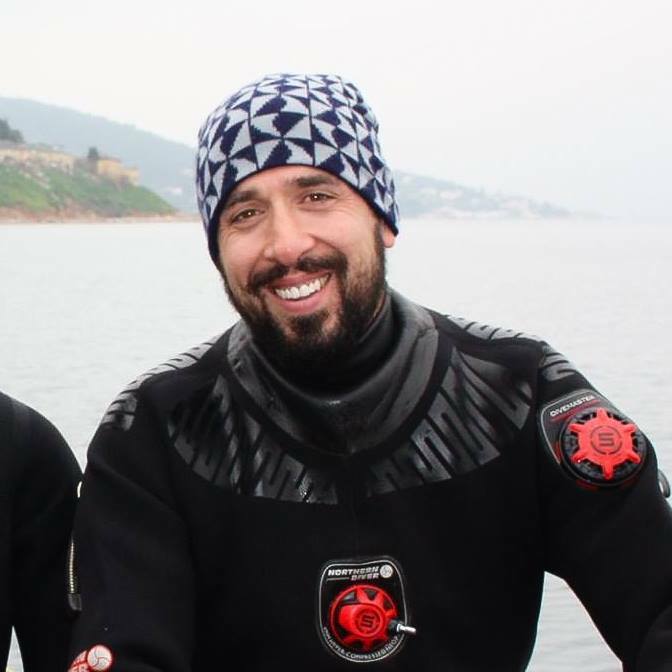 Topcu, N.E., Martell, L.F., Yilmaz, I.N., Isinibilir, M. (2018) Benthic Hydrozoans as Potential Indicators of Water Masses and Anthropogenic Impact in the Sea of Marmara. Mediterranean Marine Science. 19, 273-283. Meyer, B. Freier, U., Grimm, V. Groeneveld, J., Hunt, B., Kerwath, S., King, R., Klaas, C., Pakhomov, E., Meiners, K.M., Melbourne-Thomas, J., Murphy, E., Thorpe, S., Stammerjohn, S., Wolf-Gladrow, D., Auerswald, L., Götz, A., Halbach, L., Jarman, S., Kawaguchi, S., Krumpen, T., Nehrke, G., Ricker, R., Sumner, M., Teschke, M., Trebilco, R., Yilmaz, I.N. (2017). The winter pack-ice zone provides a sheltered but food-poor habitat for larval Antarctic krill. Nature Ecology and Evolution. 1, 1853-1861. Yilmaz, I.N. (2015). Collapse of zooplankton stocks during Liriope tetraphylla (Hydromedusa) blooms and dense mucilaginous aggregations in a thermohaline stratified basin. Marine Ecology, 36, 595-610. Tas, S., Yilmaz, I.N., Okus, E. (2009). Phytoplankton as an indicator of improving water quality in the Golden Horn Estuary. Estuaries and Coasts, 32, 1205-1224. Yuksek, A., Okus, E., Yilmaz, I.N., Aslan-Yilmaz, A., Tas, S. (2006). Changes in biodiversity of the extremely polluted Golden Horn Estuary following the improvements in water quality. Marine Pollution Bulletin, 52, 1209-1218.